As India continues to experience rapid urban expansion, public and private leaders at a national, state, and local level are looking into ways to better manage larger populations and unlock greater economic potential. Launched under Prime Minister Narendra Modi in 2015, the “Smart Cities Mission” is an ambitious multiyear effort to boost economic development, technological innovation, and sustainable growth across 100 cities. As India continues to experience rapid urban expansion, public and private leaders at a national, state, and local level are looking into ways to better manage larger populations and unlock greater economic potential. 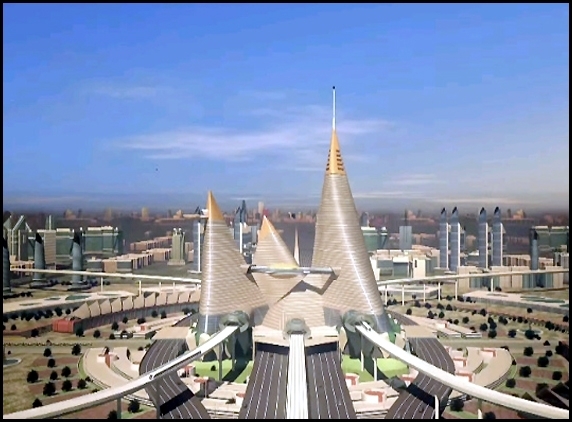 Launched under Prime Minister Narendra Modi in 2015, the “Smart Cities Mission” is an ambitious multiyear effort to boost economic development, technological innovation, and sustainable growth across 100 cities. Learning from previous national urbanization initiatives, the Smart Cities Mission promises to simultaneously improve the infrastructure and built environment in India’s expanding cities while offering a new path to urban fiscal health. If successful, Indian cities will position themselves as clean, modern, and competitive places for years to come. Canadian Companies and Institutions can provide valuable capabilities. Considering the early stages of the national initiative, this is a critical time to inform and guide future strategies and collaborations. Taken from work done by BROOKINGS INDIA AND BROOKINGS INSTITUTION, WASHINGTON, DC Aug 2016 this overview highlights governance challenges, infrastructure gaps, institutional arrangements, and financial tools that policymakers must consider to reach their local ambitions. Simply put, installing digital technologies alone will not deliver the results India hopes to achieve. India’s growing tide of urbanization necessitates significant governance reforms to successfully manage such growth. Following a variety of reforms during the past few decades—including those included under prior national urbanization programs—many regions across India have assumed greater control over managing and financing their urban development. However, states and Urban Local Bodies (ULBs) can still vary widely in the amount of control they exercise in these matters and are continually exploring new ways to drive investments. The creation of new local units to manage urban infrastructure—called Special Purpose Vehicles (SPVs)—offers the potential to guide more comprehensive planning efforts, but their long-term role must be more clearly defined. First, India must focus on creating more customized solutions as part of its Smart Cities Mission, which should be shaped according to local infrastructure priorities and institutional capabilities. Essential infrastructure—including water and sanitation, but also newer technologies like mobile data— poses perhaps the most significant developmental gap in many Indian cities and should consequently be a top priority. Indian cities should also leverage their local economic strengths to develop priority industries and guide future development efforts, especially in sectors that offer higher wages and pathways to more durable growth. Projects to address these challenges must then be aligned with institutional capabilities. Given existing governance and financial challenges, Indian cities must scale their project sizes in light of practical considerations on the ground.